​I’m an American resident raised in the U.K. I currently live in the hilly suburb of Mill Valley in Marin County, California (just a few miles north of San Francisco). 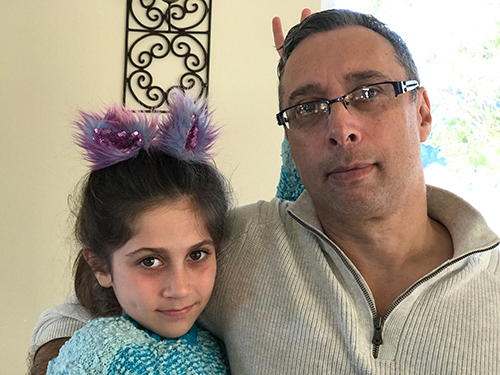 I came to the USA from the U.K. over twenty years ago to work in the Bay Area tech industry. I’m a graduate of the University of California, Berkeley with a degree that encompasses mathematics, computer science, and cognitive science (i.e. The Interdisciplinary Studies Program). I’m currently a web developer and work in the tech industry in San Francisco. 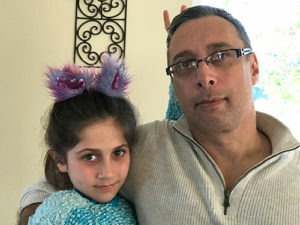 I’m married and have a daughter. 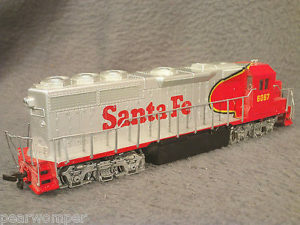 My introduction to the hobby began with a gift of a Bachmann warbonnet Santa Fe diesel from a distant uncle at the age of eight years old. It kicked off an obsession with trains that initially took me through the familiar British Great Western branch line phase whereby I built my first and only layout of my youth. 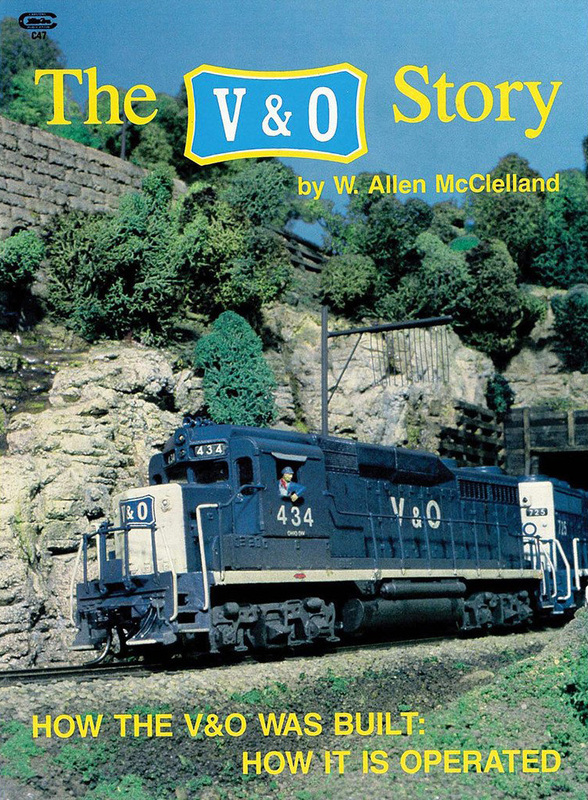 During my teens my train pals and I came across our first glimpse of American model railroading: an article in Model Railroader on the Virginian and Ohio Railroad by W. Allen McClelland. 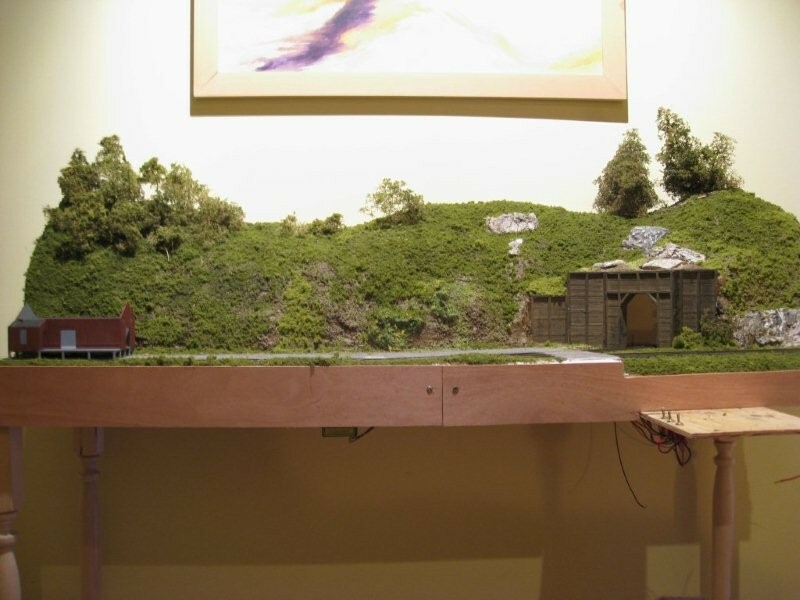 Seeing that layout changed my life – the size, the realism, the quality of the modeling, the operating potential and the creation of a whole railroading ecosystem in a basement – this kind of model railroad was something none of us had ever seen before. We did not yet know about (but soon found out about) John Allen and the tradition of basement model empires in the USA. Overnight my focus became American railroading. I found a supplier of American railroad models in north London and became a regular at the store every Saturday morning. That was my life until I went away to college after which the focus became ‘other things’. After a twenty year gap – during which time I moved to the States – by chance I came across Carl Arendt’s Micro Layouts website. Just as before with the Virginian and Ohio my imagination was fired up. What Carl best demonstrated was that the lack of a basement or any large space shouldn’t have to deny one the joys of the hobby and as such I plotted my return. I’ve often said that The Depot was my first layout but that’s not exactly true. Discounting my teenage efforts, my first attempt was a quick proof-of-concept (i.e. to prove to myself that I had some basic modeling abilities) layout of a mining branch by a hillside. After reading the necessary how-to books with visits to my local hardware store and hobby shop, I spent a month of Caractacus Potts-like banging and clanking (Chitti Chitti Bang Bang) in my girlfriend’s spare bedroom. 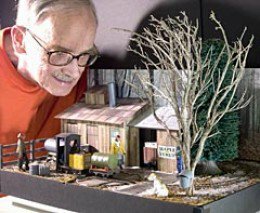 Eventually, out of that room, emerged my first model railway. And a fine effort it was. Everything worked as it should and I was momentarily proud of my modest achievement. But there were problems. The Atlas track didn’t look very realistic: too chunky, too perfect. The hill part took up a large percentage of model real estate that could have been filled with more track or buildings. I won’t go into it in any more detail, suffice to say it lasted about 4 months before I tore it down and started again. All is not forgotten however and I have an end-of-the-line mining module planned which will develop this concept further. I also built a little narrow On30 diorama. 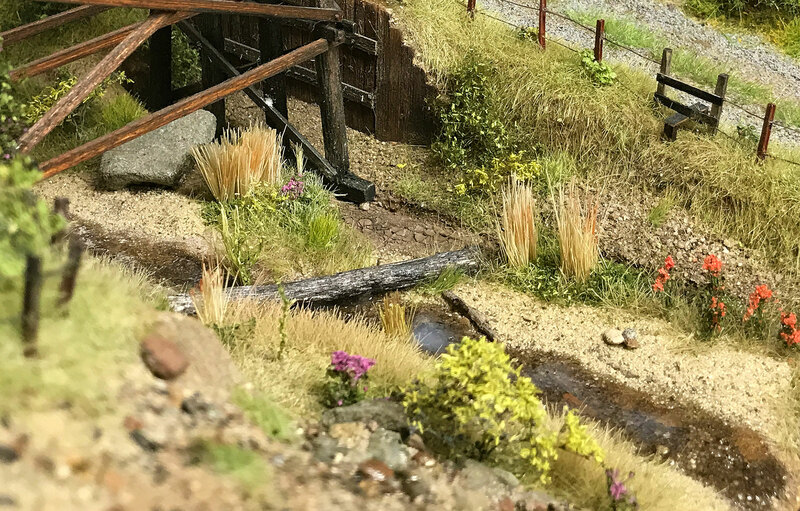 I really like O scale and I’ve always loved the narrow gauge so I built a scene of a narrow gauge railway set within a winery. It was the first time I scratch built anything. In fact I pretty much scratch-built all the buildings and the track. Even though it was non-powered it allowed me to start thinking about building track from scratch instead of using commercial track. The diorama was an important stepping stone towards The Depot. 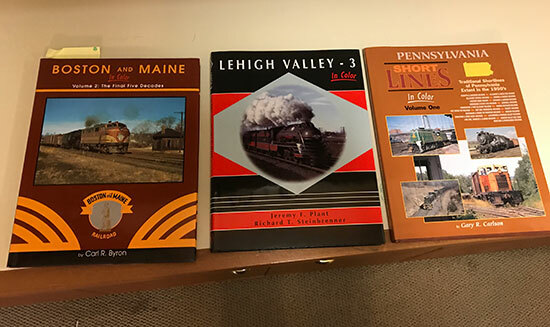 These are some of my favorite railroad/railway subjects. The New York Central Railroad. The Chicago and Northwestern Railroad. The Southern Pacific in California, Oregon and Nevada. California and Nevada railroad history. The Petaluma and Santa Rosa railroad. The US and Canadian grain industry. The Severn and Wye railway. The Wisbech and Upwell Tramway. I’m an obsessive train book collector. Unfortunately I currently have more unread than read so I’ve stopped buying any more for the time being. My favorite USA publisher is Morning Sun. In the UK my favorite publisher is Wild Swan. Wild Swan are in a class of their own. 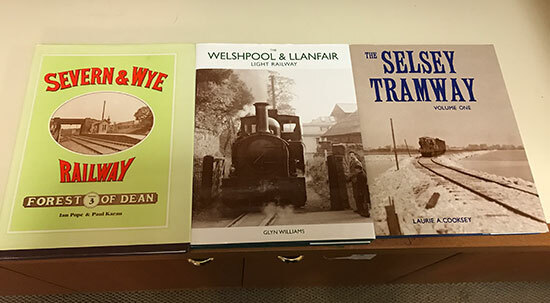 Highly detailed and beautifully illustrated histories of a range of railway subjects in the UK. I especially like their histories of off-the-beaten-track railways and tramways. 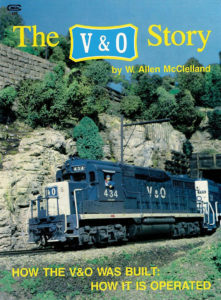 Morning Sun publishes color volumes of the US and Canadian railroad scene from the 1940s onwards. I have over 40 Morning Sun volumes. There is something about color photography that brings a scene to life in a way that black and white fails to do: it can make a 50 year old scene seem like yesterday.